Dress Code: Casual attire is acceptable. Parking: The Barrel Room is located in the Old Town Hospitality District which closes streets in the immediate vicinity of Barrel Room. PLEASE BE AWARE OF ALL STREET SIGNS, especially if you think you got the best parking spot ever, it's probably because there is a tow sign after 10PM. 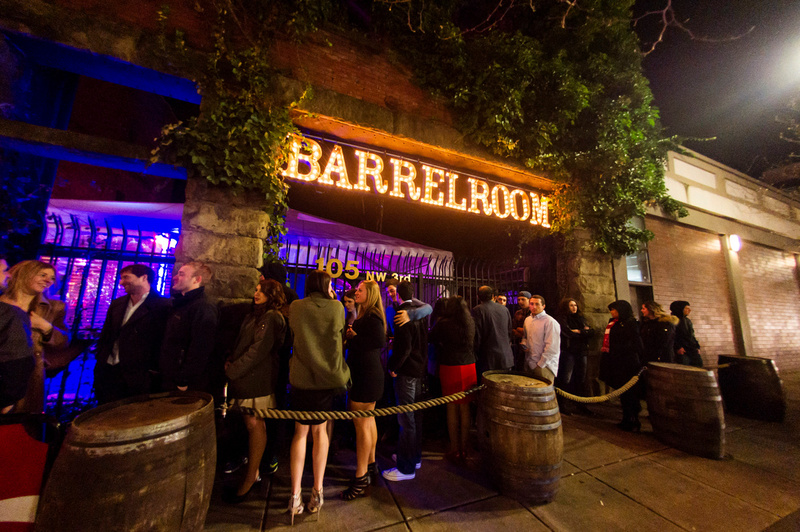 The Barrel Room is Portland, Oregon's longest running dueling piano show, and for a good reason. Then again, they are now the only dueling piano show in Portland! Still, since opening their doors in 2010, The Barrel Room has served its patrons well with food, drinks, and entertainment that can only be described as "inspired". The reason that The Barrel Room has stayed around while other venues have been forced to close is that they offer a quality show. Their shows take requests that keep the audience engaged, and rather than having two players poke at piano keys for five hours, they like to have fun with their shows and mix them up from night to night. In addition to their top-notch players, they offer fun bits to their performances like games, sing-a-longs, comedy, and are sure to go above and beyond any expectations of what a dueling piano show can be. Of course, one should keep in mind that this is very much an adult show. While the performers do not look to be offensive, some of the material in the show may not be suited for younger audiences. With the added atmosphere of drinking adults, this may be more well suited as a night out among friends than the location of a family get together. As an added bonus to the outstanding show, The Barrel Room also offers delicious food and signature cocktails. Any patron can enjoy an Alicia Keys cocktail, share an order of grilled cheese bites with some friends, then go to town on vegetarian-friendly curry basmati rice bowl. With everything covered from entertainment to food to libations, The Barrel Room's clientele will want for nothing! 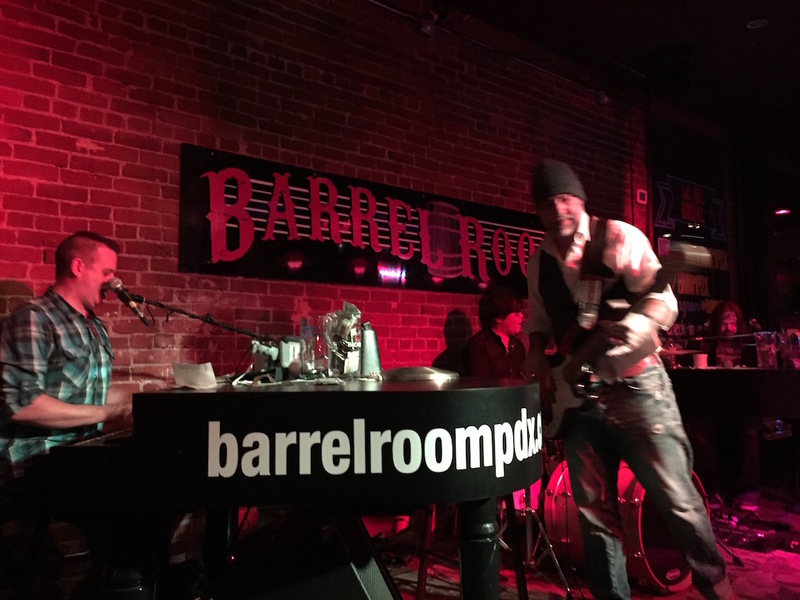 There is a reason The Barrel Room stands as the only dueling piano show in Portland; they can make it fun. It is not simply an evening of watching two bozos play "Piano Man" for hours, it is an interactive experience that ensures an evening that won't soon be forgotten. Whatever the need, The Barrel Room stands ready to give nearly anyone an evening of unique entertainment, quality food and, perhaps most importantly, top shelf alcohol. Toasted Focaccia Topped with Basil Pesto and Herb Blended Diced Tomato, Drizzled with Balsamic Reduction. Generous Plate of our Crispy House Fries, Tossed with 100% Natural Truffle Oil and Topped with Fresh Gorgonzola. Hand Battered Calamari, Served with House Dipping Sauce. Skewered Chicken on a Bed of Curry Basmati Rice Served with Sweet Thai Chili Sauce. Battered by Hand and Fried to Crispy Goodness. Served with a Generous Portion of our House Fries.